The 7th Special Forces Group (Airborne) is an operational unit of the United States Army Special Forces activated on 20 May 1960. It was reorganized from the 77th Special Forces Group, which was also stationed at Fort Bragg, North Carolina. Its purpose is to conduct guerrilla operations and train friendly governments' armed forces in South, Central, and North America as well as the Caribbean. 7th Special Forces Group participated in Operation Urgent Fury in Grenada in 1983, and in Operation Just Cause in Panama in 1989. The 7th SFG has, like all the SFGs, been heavily deployed to Iraq and Afghanistan in the War on Terror. The 7th SFG(A) traces its lineage to the 1st Company, 1st Battalion, 1st Special Service Force, which was established on 9 July 1942 at Camp William Harrison, Montana. The unit was a combined Canadian-American commando unit, designed to conduct raids against Germany's fledgling nuclear capability in northern Europe. However, it was relocated to the Aleutian Islands to fight the Japanese. Upon the successful completion of the Aleutian campaign, the SSF was transferred to the European theater of operations. The unit earned the nickname "The Devil's Brigade" for fighting with distinction in Italy and southern France. 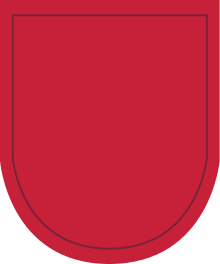 It was disbanded in France in 1945, and reactivated in Fort Bragg on 10 November 1953 as the 77th Special Forces Group. 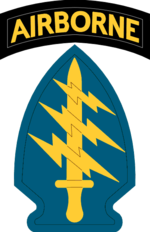 In 1960, the 77th was reorganized and redesignated as the 7th Special Forces Group. In the 1960s, the need for mobile training teams exceeded the capability of the US military, so the 7th Group provided the cadre for the 3rd and 6th Special Forces Groups. The 7th Group was active early in the Vietnam War, first operating in Laos (Operation White Star), and later in other global Cold War operations in addition to Southeast Asia (Laos, Thailand, and South Vietnam). 7th Group was the first unit in South Vietnam to have a member earn a Medal of Honor, Captain Roger Donlon. At the same time, Special Forces were expanding into Latin America. In May 1962, the advance party from Company D, 7th Special Forces Group departed for Fort Gulick, Panama, in the Canal Zone, to establish the 8th Special Forces Group. 8th Group was deactivated in 1972 and the unit redesignated as the 3rd Battalion, 7th Special Forces Group. The entire 7th Special Forces Group was scheduled for inactivation on 1 October 1980, and was unfunded after that in the completed and approved US Army POM. Army Chief of Staff General Edward C. Meyers reversed the decision after USSOUTHCOM briefings and discussions with LTG Wallace H. Nutting, the CINCSOUTH, and LTC Charles Fry, the 3rd Battalion, 7th Special Forces Group commander, regarding the growing threat to Central America and the need for U.S. Army Special Forces to respond to the threat. Throughout the 1980s, 7th Special Forces Group played a critical advisory role for the El Salvadoran armed forces, which grew from a force of 12,000 to a total of 55,000 men. The Salvadoran military became a highly trained counter-insurgency force under the tutelage of 7th Group. The 7th Special Forces Group played an important role in preparing the Honduran military to resist and defeat an invasion from Nicaragua. 7th Group also trained the Honduran military in counter-insurgency tactics, which enabled Honduras to defeat the Honduran communist-backed guerrillas. 7th Special Forces Group also became involved in counter narcotics operations in the Andean Ridge countries of Venezuela, Colombia, Ecuador, Peru, and Bolivia. The goal was not just to stop the flow of drugs into the United States, but to stem the violence that resulted from the drug trade in those countries. During the 3 October 1989 coup against Noriega by some of his troops, members of 7th Group conducted reconnaissance operations near the road that led from the cuartel of Battalion 2000 to Panama City, giving the US Southern Command advanced early warning of the elite Panamanian unit moving to rescue Noriega, who was being held captive in the Panamanian Comandancia. Meanwhile, one 7th Group Company was being readied to take custody of Noriega. When the coup was over and Noriega was released, that company prepared a raid on the Carcelo Modelo where American Kurt Muse was being held for operating an illegal radio station that was broadcasting anti-Noriega programming. That mission was later turned over to 1st SFOD-D and performed on D-Day during Operation Just Cause. From 19 December 1989 to 31 January 1990, elements of the 7th Special Forces Group participated in Operation Just Cause to restore democracy to Panama. The 7th Group conducted combat operations on D-Day against multiple strategic targets. Over the next two weeks, 7th Special Forces Group conducted many reconnaissance and direct action missions in support of the operation. When combat operations ceased, Operational Detachments-A and -B fanned out over the entire country, living in villages with the people. 7th Group soldiers restored public utilities such as water and power while maintaining a watch on the (then) new Panamanian Police Force. Non-commissioned officers served as temporary judges and mayors gaining enormous support from the populace. Since early 2002, the 7th SFG has deployed almost nonstop in support of Operation Enduring Freedom in Afghanistan. 7th SFG along with the 3rd Special Forces Group are the two SFGs responsible for conducting operations in Afghanistan. The Group has also deployed in support of Operation Iraqi Freedom numerous times, but not as often as Afghanistan. The 7th SFG has lost more SF soldiers in the Global War on Terrorism than any other SFG. In 2011, 7th SFG(A) relocated from Fort Bragg, North Carolina, to Eglin Air Force Base, Florida, as part of the 2005 Base Realignment and Closure (BRAC) round. Wikimedia Commons has media related to 7th Special Forces Group (United States). ^ Fort Walton Beach, Florida, "7th Special Forces Group (Airborne)", Northwest Florida Daily News, Friday 19 June 2015, Volume 69, Number 139, page A6. ^ "7th SFG". 7th Special Forces Group webpage. Archived from the original on 28 March 2007. Retrieved 3 March 2007. ^ "7th SFG". 7th SFG at Global Security. Archived from the original on 10 March 2007. Retrieved 3 March 2007.